A fresh pair of low cut Air Jordan 13 (XIII) OG made available during the Summer of 1998 which are the Air Jordan Original 13 (XIII) Low Navy / Metallic Silver – Black – Carolina Blue. The Air Jordan OG 13 (XIII) Low Navy / Metallic Silver – Black – Carolina Blue was one of the first Air Jordan Original XIII (13) to feature a Jumpman logo at the heel instead of the traditional hologram. 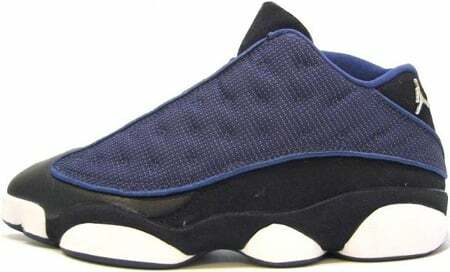 A retail price of $130 were given to this Air Jordan 13 (XIII) Original Low Navy / Metallic Silver – Black – Carolina Blue.